Hip hip Hooray! The graduation is one of the most beautiful days in the life of a student. 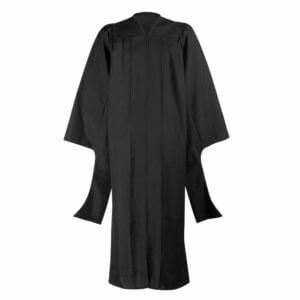 Make this day an unforgettable event with our Graduation Gowns. 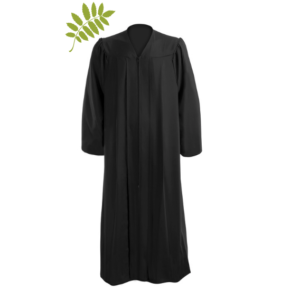 Our Professor Gown is made of black colored premium quality polyester with a smooth matte finish and is enriched with full-length high grade velvet fabric. The zipper enables you to have easy closure over a formal outfit. 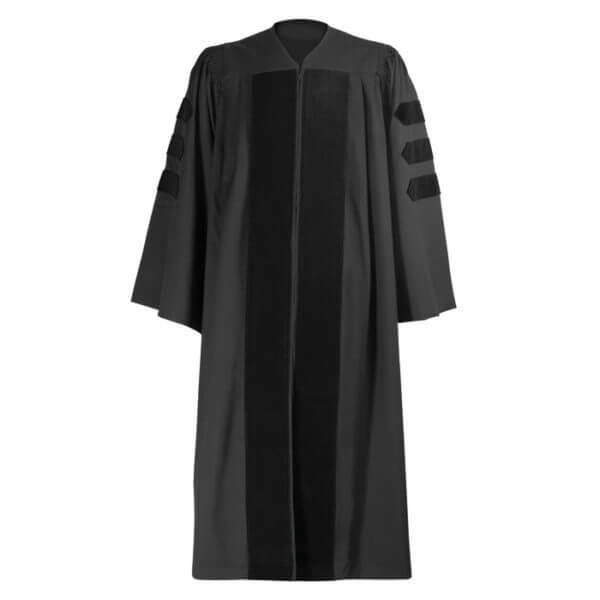 This Professor Gown features three strips of Black velvet fabric positioned horizontally on each of its flowing sleeves. 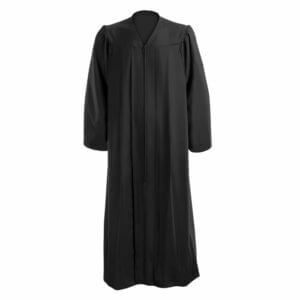 The gown has an excellent drape and is wrinkle-free. For the size of the Professor Gown you have to measure your height from the head to the floor with shoes on.